Tanya Brown-Dickerson, Brandon Tate-Brown’s mother. By former staff photographer Josh Albert. 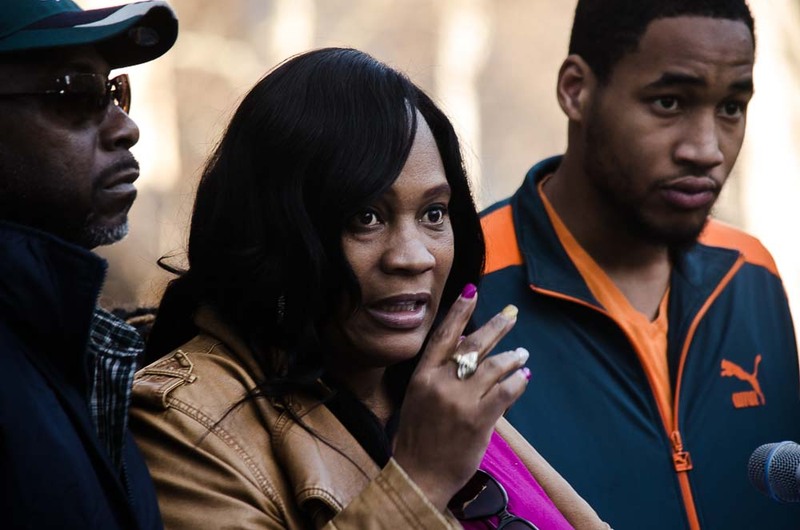 Just weeks before the case was to go to trial, Brandon Tate-Brown’s mother voluntarily withdrew the lawsuit she filed against Philadelphia Police for the shooting death of her son. Tate-Brown was shot by police officer Nicholas Carrelli during a traffic stop in December 2014. In her lawsuit, Tate-Brown’s mother, Tanya Brown-Dickerson, alleged that officers were overly aggressive during the traffic stop and planted a gun to justify the shooting. However, on September 13th, Brown-Dickerson filed a motion asking to voluntarily withdraw the case, shortly before a trial was scheduled to begin on September 25th. The motion did not explicitly state why Brown-Dickerson chose to withdraw the complaint, but provided hints. In the filing, Brown-Dickerson’s attorney wrote that “plaintiff and the family are facing a contested trial, in which it is not possible to know” which side will prevail. Attorney Brian Mildenberg also seemed to concede that Brandon Tate-Brown had a gun in the car when he was stopped. He noted that “police recovered a gun from the scene,” but argued that the shooting was nevertheless illegal. As Mildenberg pointed out, police originally claimed that Tate-Brown was reaching into his car when shot. Later, the City acknowledged that he was actually running near the back of his car when Carrelli fired. However, police concluded that Carrelli was justified in fearing that Tate-Brown was moving towards his car in an attempt to get the gun. Had the case gone to trial, Mildenberg would have needed to prove that Carrelli unreasonably feared that Tate-Brown was running to the car to get his gun. His reference in the September 13th motion to the uncertainty of a trial suggests that either he or his client Brown-Dickerson doubted the odds of success in that endeavor. Later on September 13th, the judge supervising the case ordered it dismissed, barring Brown-Dickerson from bringing a federal lawsuit about the shooting again. Attorney Mildenberg and a spokesperson for the City of Philadelphia both declined to comment on the dismissal.